NSL Consolidated (ASX:NSL) has declared a new plant will be cashflow positive in India in the third quarter, after bagging the support of institutional investors to finance the construction of its Phase Two beneficiation plant. It told its shareholders today that it had placed 400,992,936 fully paid shares at 0.8c per share, to raise a total of $3.2 million – with existing top 20 shareholders, institutional and sophisticated investors taking up the offer. The offer was closed off oversubscribed, as NSL had only planned to raise $2 million. NSL managing director Cedric Goode said the support from existing shareholders showed that those who have bought into the story continue to back the company. 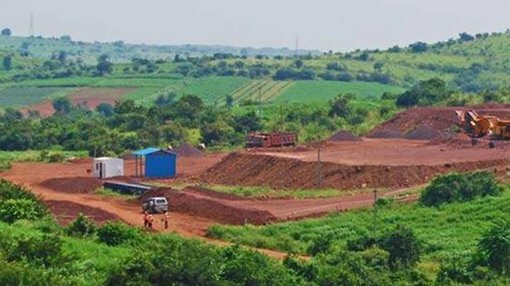 “The significant demand and interest in the company and its Indian iron ore business led to the company significantly exceeding its $2 million capital raising target and having to close the book at $3.2 million,” he said. He also said the appearance of new investors as part of the offer was heartening. The placement is set to take place in two tranches, with the first tranche under the company’s allocation limit and the second tranche needing to be signed off by shareholders – at this stage expected for mid-April. The majority of the funds will go towards an iron ore beneficiation plant current being fabricated in China. Dubbed the ‘phase two’ plant, the plant will be able to take low grade iron ore and improve it to achieve grades between 58% to 62%, with a production capacity of 200,000 tonnes per year. NSL had previously been able to negotiate the price of the plant lower – taking advantage of a distressed manufacturing market in China to do so. It said that the plant is due to be shipped to India in April, with start-up pencilled in for June. It expects that the plant will become cash-flow positive at the end of the third quarter. NSL already has offtake deals for output from the plant in the bag, with Indian giants JSW Steel and BMM Ispat committing to volume.